Children of the 1990s, rejoice! 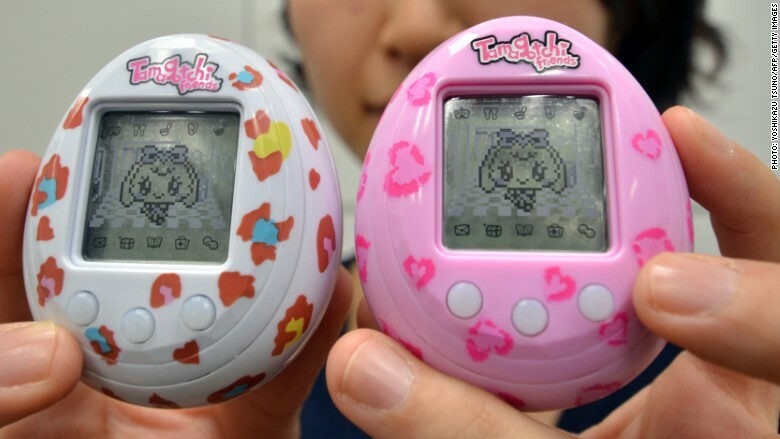 Your favorite pseudo-pet, the Tamagotchi, has returned like a long lost dog. 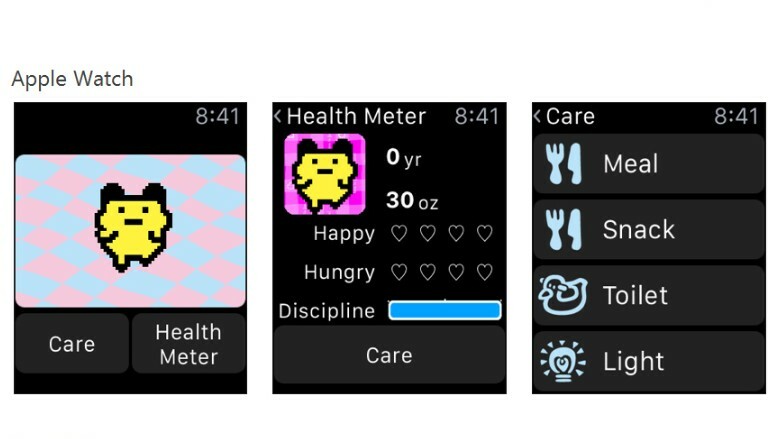 Japanese video games maker Bandai Namco has resurrected the toy, but instead of the classic egg-shaped gadget, the little digital animal now lives inside an app designed for the Apple Watch. The hit game from the 1990s simulates the experience of having a pet, following the life cycle of an animal on a tiny screen. It starts with the pet hatching from an egg (in the Tamagotchi world, even Dalmatian dogs come from an egg) and ends when the pet dies, usually after a couple days, and turns into a ghost. Throughout its life span, the creature demands attention by asking to be fed or played with. Occasionally, it also poops all over the little screen, forcing its owner to clean up quickly in order to prevent the pet from getting sick. Illness is demonstrated by a picture of a skull floating around, and the Tamagotchi sitting motionless in the corner. The simple plastic key ring with three buttons was launched in 1996 and became a worldwide hit, selling 80 million units. The Tamagotchi app costs $0.99 on iTunes.